Sophsterlicious • UK Blog: - Liz Earle: Sheer SkinTint. I know that many of you are as excited as I at the prospect of Liz Earle dipping their toe into the Beauty/Make up world, and bringing out a Skin Tint. I was fortunate enough to get a sample to try out before the launch date, and I've been trying it for a couple of weeks. What They Say: We've spent three years carefully creating our high performance make up must-have, which leaves skin looking dewy, even and radiant. Suitable for all skin types, it contains mineral UV protection SPF15 and gives you the perfect level of coverage to achieve natural-looking, beautiful skin. My Thoughts: It's much heavier coverage that I expected it would be, and the consistency is quite thick compared to other tinted moisturisers I have used. However, I find that once it's blended it feels really light on the skin, and it leaves a lovely dewy glow, as promised. It hydrates the skin like a moisturiser too, and of course it has SPF in it, which is a great bonus. I say that if you like a medium coverage foundation that leaves you with a radiant glow, this is for you. I'm not normally one for dewy, because I have oily skin, but if I add a bit of powder to my t-zone when I wear this, I still get the glowy-ness, without shine. There are three shades available, I tried the lightest shade 'Bare' out, and it is perfect for me. They also have Beige for medium skin tones, and Beach for medium to dark. I was accidentally sent the beige shade at first, which was way too dark for my light skintone, but I gave it to my Mum... and like me, she likes the finish it gives, but was suprirsed by it's coverage, saying she expected it to be sheerer. For me, personally, it's fine. 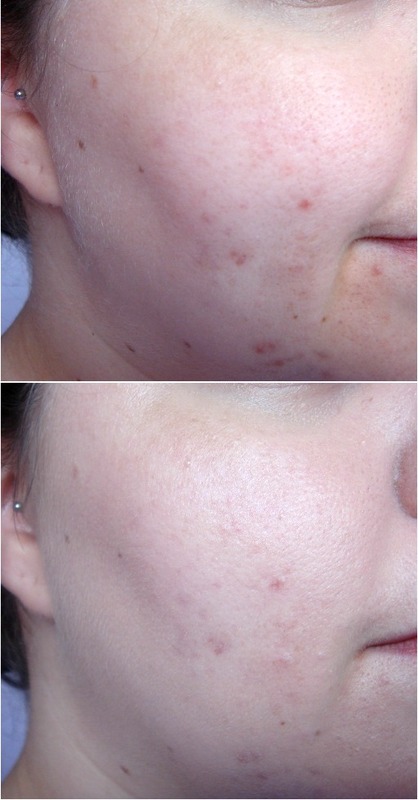 I like a medium coverage, and it evens out my skintone, with a touch of coverage, as you can see in the photo below. 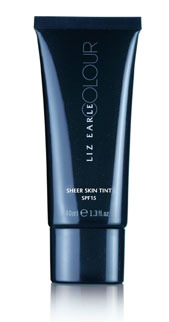 The Liz Earle Sheer Skin Tint launches on September 8th, and it £21 for 40ml. It is available for pre order online. Do you think you'll be trying this? Your skin looks really radiant with it on. I love the finish. The coverage was great for me too, I just wanted it to be an ickle bit paler.